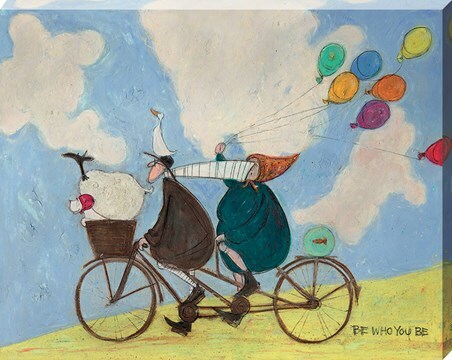 Whether its for the classroom, a child's bedroom or simply because you like Kangaroos, this poster will look great on the wall. 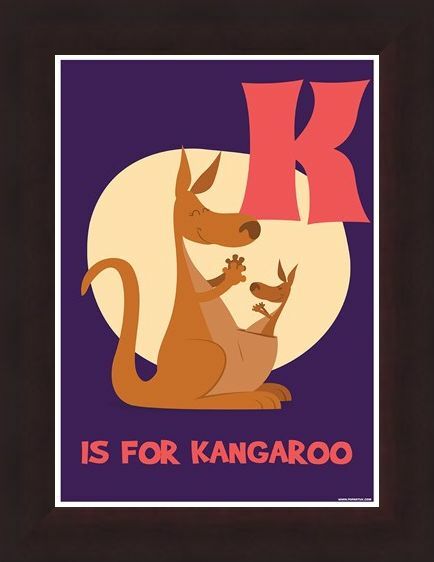 There is only one animal you need when you think of the letter K, and that's Kangaroo. 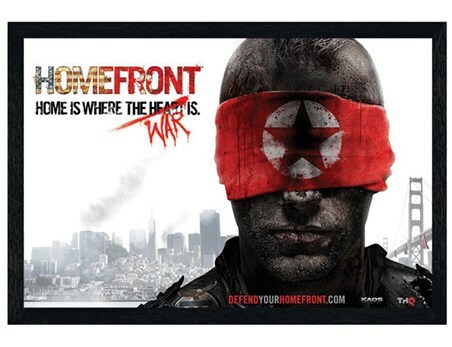 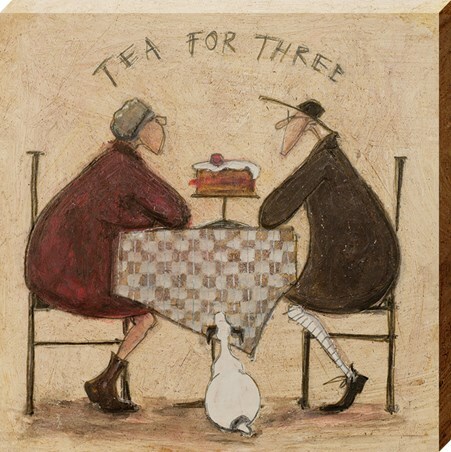 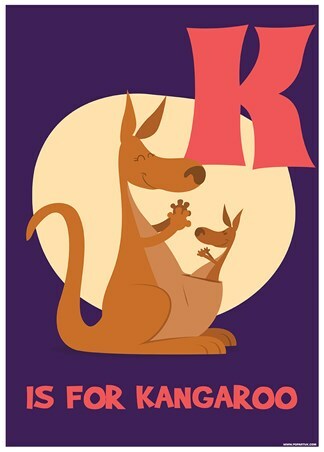 A simple, bold and effective mini poster. 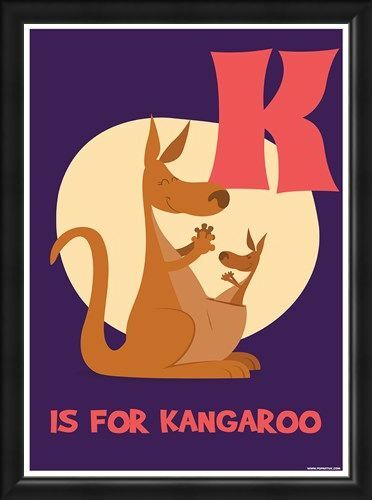 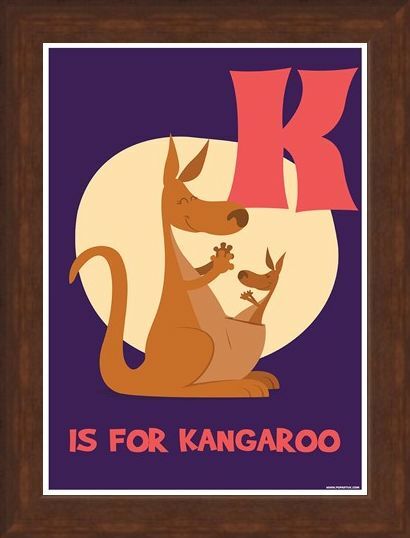 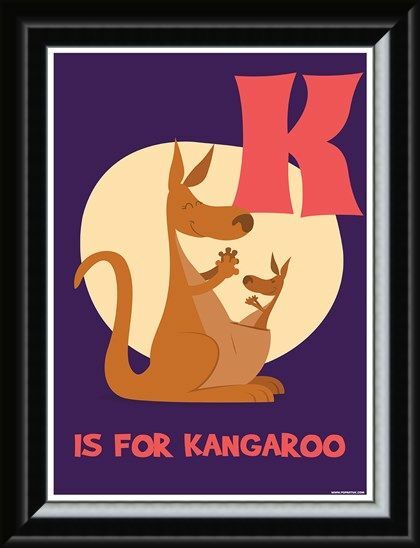 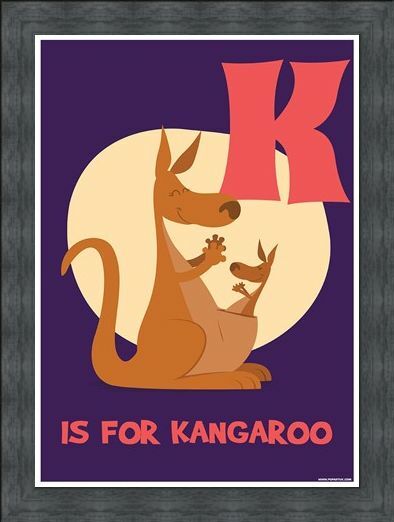 High quality, framed K Is For Kangaroo, Animal Alphabet mini poster with a bespoke frame by our custom framing service.